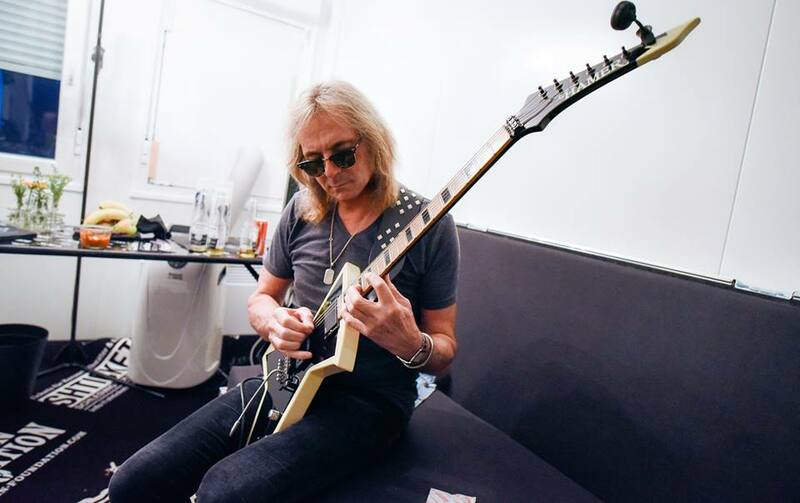 Judas Priest have announced that guitarist Glenn Tipton will step aside from touring in support of the band’s March 9 set, “Firepower”, as they share news of his lengthy battle with Parkinson’s Disease. “Ten years ago, Glenn was diagnosed to have the onset of the early stages of Parkinson’s,” says the group about the degenerative disorder of the central nervous system. “From then until recently Glenn has lived his life as the great heavy metal guitar player he has always been, maintaining by his own definition a standard of quality and performance that is incredibly important. “Right now, Glenn is able to play and perform some of the Priest songs that are less challenging but due to the nature of Parkinson's progression he wants to let you all know that he won't be touring as such. “We have been privileged to witness Glenn’s determination and steadfast commitment over the years,” says Tipton’s bandmates, “showing his passion and self belief through the writing, recording and performing sessions with Priest - he is a true metal hero! A veteran metal producer and guitarist, Sneap co-produced Judas Priest’s eighteenth studio album alongside Tom Allom. 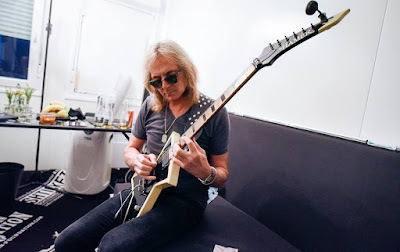 Formed in Birmingham, UK in 1969, Tipton joined Judas Priest in time for the recording of their 1974 debut album, “Rocka Rolla”; his twin-lead guitar work with K.K. Downing provided a signature sound for the group through the years.